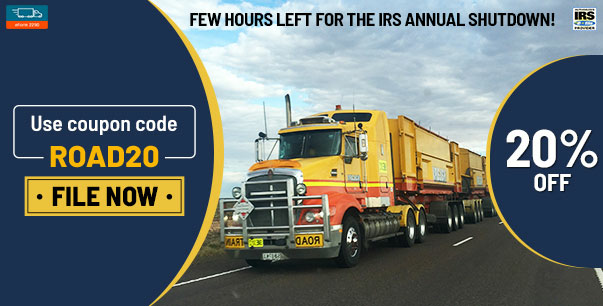 E-File Federal Heavy Highway Vehicle Use Tax (HVUT) IRS Form 2290 Today! 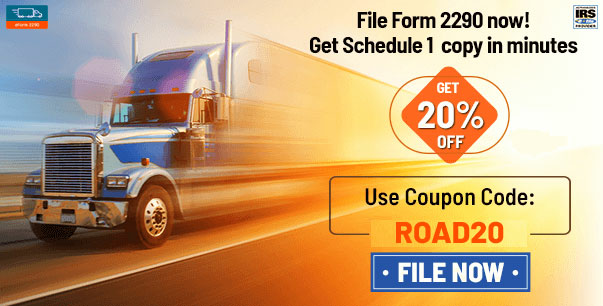 How to File Form 2290 Easily? 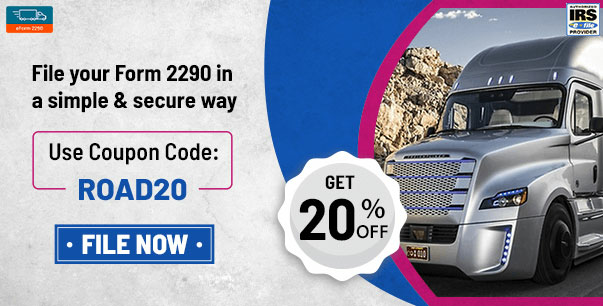 Form 2290 is a Federal Excise Tax that is imposed on heavy trucks that operate on public highways.Any truck that weighs 55,000 pounds or more and used for 5000 miles or more is subjected to this tax. 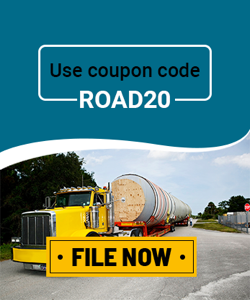 Form 2290 is a Federal Excise Tax that is imposed on heavy trucks that operate on public highways. Any truck that weighs 55,000 pounds or more is subjected to this tax. Although all the trucks have to be filed, only the trucks that will be used for 5000 miles or more are taxed. The federal tax is collected annually and is utilized for the construction and maintenance of highways. 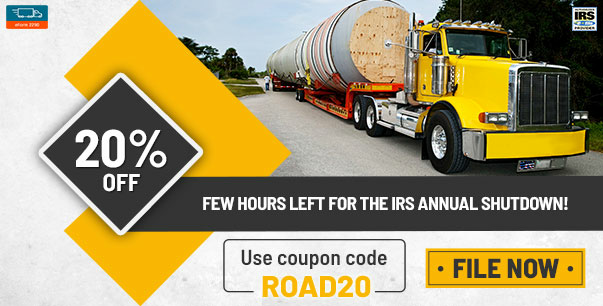 Any heavy trucks that operate on the public highways are subjected to Federal Excise Tax called as IRS Form 2290. A tuck that weighs 55,000 pounds or more and is used to 5000 miles or more must pay this federal tax. This tax is collected annually and the same is used for maintenance and construction of highways. Use ROAD20 to get 20% off on our service charge!